The Pixel 3 brings with it refinement to a known design, butter smooth performance, a pixel perfect camera and a display to immerse you. For the asking price, it is cheaper than an iPhone XS and offers fantastic overall performance. Sure, there is no face unlock and at full volumes the entire device vibrates but if you want flagship performance, then you can absolutely consider it. Usually, in the box, you get the phone, a USB cable and the charger, that’s it. With the Pixel 3, you get a lot. Apart from the USB-C cable, charging plug and USB-C to USB-A adapter, you also get a USB-C to 3.5mm adapter to connect your old headphones and a pair of Pixel USB-C headphones in the box that are very reminiscent of the Pixel Buds. 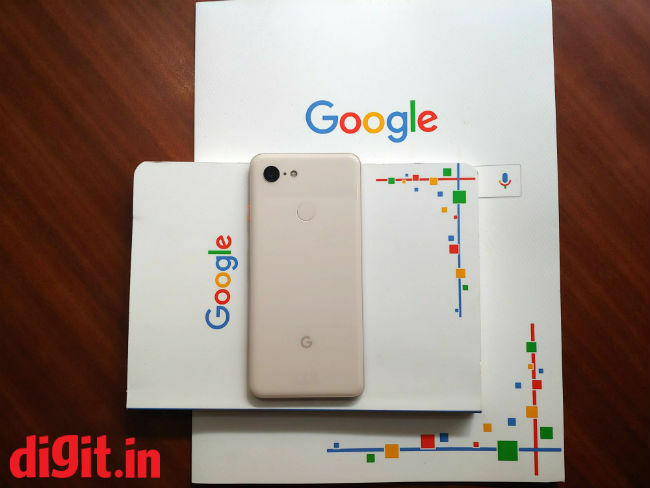 Sleek, and attractive are the first things that come to mind when you will first see the Pixel 3. The smartphone has a 5.5-inch display, but thanks to the 18:9 form factor, it fits comfortably in one hand and single-handed use is possible even if you need to move your hand a little to get to all the corners. We have the 'Not Pink' colour with us and besides this, the smartphone is available in 2 more colours – Clearly White and Just Black. As the name suggests, the Not Pink colour looks like a pale pink and honestly, it sets itself apart visually. It isn’t a Rose Gold pink, more like a baby pink colour with a matte finish. The back is Gorilla Glass 5 protected and has the same dual tone colour we saw on the Pixel 2. The bottom two thirds of the back has a soft feel, making it seem a lot more like polycarbonate than glass, which is what it's made up of. It also doesn’t feel as fragile as the glass back on other smartphones like the new iPhone XS for example. The glass back gives the Pixel 3 wireless charging capabilities which work with any Qi wireless charger. The top portion which houses the camera has the traditional reflective glass finish to it. 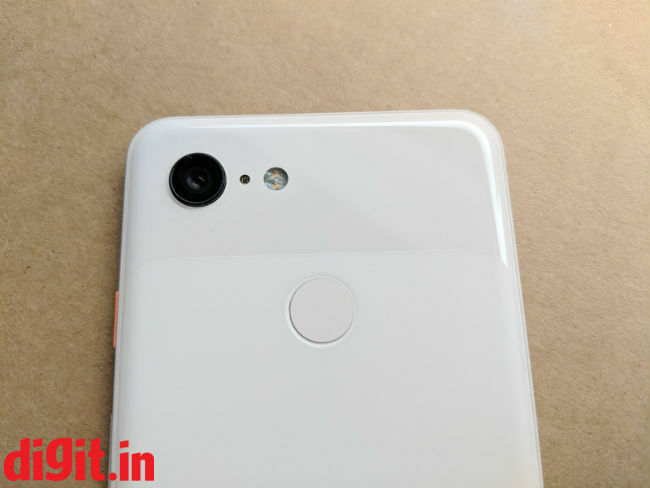 Another interesting thing to note is that the glass back of the Pixel 3 isn’t prone to fingerprints as we have seen with other glass back smartphones and that is a very good thing. Coming to the front, thank god there is no ugly notch on the smartphone. 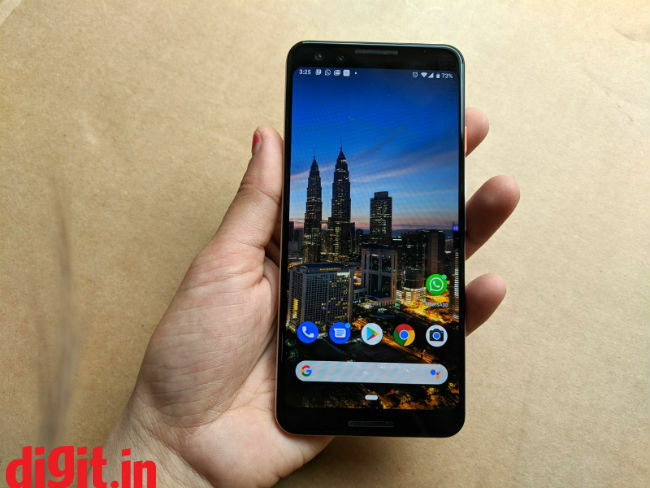 The Pixel 3 has a prominent chin and forehead and that’s ok as the chin houses the second speaker, whereas the forehead has the earpiece-speaker combo accompanied by the dual-camera setup. The bezels on the side of the display are also quite thin but not as thin compared to the Galaxy S9. This is because the display of the Galaxy S9 curves towards the edges which makes it look like it has edge to edge glass. The Pixel's display doesn’t have that and hence you have black borders on the left and right. This isn’t a big deal but is something that you will notice when placing the smartphone next to the Galaxy S9. On the right, the smartphone has the power button and the volume rocker. On the Not Pink Pixel 3, the power button is orange making it stand out. On the Clearly White it is green and on Just Black, it is, well, black. The bottom of the smartphone has the USB-C port along with the SIM tray. The smartphone is a single SIM device with no expandable storage. In a day and age when even the iPhone is dual-SIM capable, it feels like a missed opportunity for the Pixel. Expandable storage is something we’d like since the Samsung Galaxy devices offer it. The fingerprint sensor which rests at the back of the device is fast, accurate and convenient to reach. However, this is the end of 2018 and face recognition is something we expected from the smartphone. 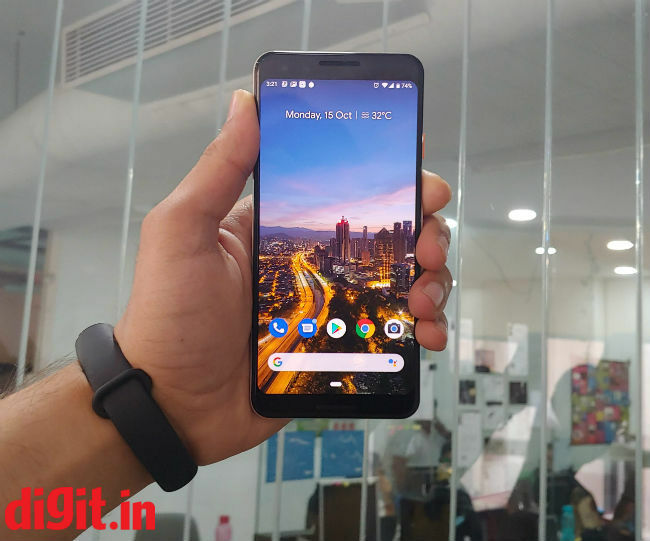 Overall, the Pixel 3 is an attractive, compact device with a unique implementation of the glass back. 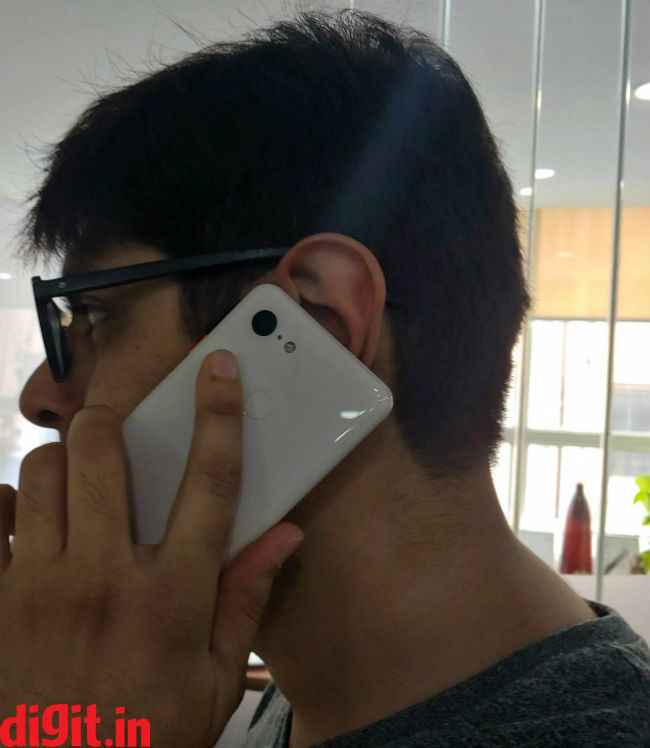 We have seen something similar on the White OnePlus 6, but in this case, it still feels different. The absence of a notch is appreciated along with the ergonomic nature of the smartphone. The only downside is the absence of any face recognition technology which feels like a missed opportunity especially at the end of 2018. The Pixel 3 has a 5.5-inch FHD+ display in the 18:9 form factor. This has become a norm with displays and it works quite well. The simplest way to describe the smartphone's display is that it looks fantastic. Put a high-resolution detailed wallpaper or watch Netflix or high-res videos on YouTube or check out photos of food on Instagram. The display is more of a window into the content you are consuming rather than a display. A large number of apps on the Play store have been optimised for this form factor. In an app like YouTube, you can always pinch to fit the video in full screen and you will not have a notch cutting into the video because the display doesn’t have a notch. The pOLED display produces rich colours, deep black and makes content look absolutely breathtaking. Even under direct sunlight the display works well for social networking, messaging, using the camera and more. The only thing you may face an issue with is watching videos on the display under direct sunlight. The display definitely has the potential to go toe-to-toe with the new iPhones and the offerings from Samsung, if not surpass them when it comes to performance. The touch response of the display is fantastic too. It responds to the slightest touch and typing with one hand or both hands was a breeze on the smartphone. Moving to sound, you have a stereo setup on the smartphone with both the speakers facing you which is how we like it. The sound from the speakers is really loud, clear and you can huddle around the phone in a relatively noisy café to enjoy a movie trailer. Even if you consume content from Netflix, YouTube, Instagram, Facebook or the audio from games, it all works extremely well. There is one problem though. At full volume, the entire device starts to vibrate, and this can’t be a good thing. Sure, if you fit the device in a case, then some of the vibration may be reduced, but during the review of the smartphone, we didn’t put it in a case and the vibration could get quite annoying. The speakers on board the LG G7+ ThinQ can give the Pixel 3 a run for its money, but it ultimately boils down to your preference. If you’d rather not disturb those around you, then you do have the option of the bundled Pixel Bud styled wired USB-C earphones with Google assistant support. Bringing up the Google Assistant is as simple as holding down a button on the cable. The performance of the earphones can be described as average at best. It is the build that I have a problem with. Rather than going with a one size fits all approach or giving you interchangeable earbuds, the headset has this string like setup that you need to pull until you get the perfect fit. 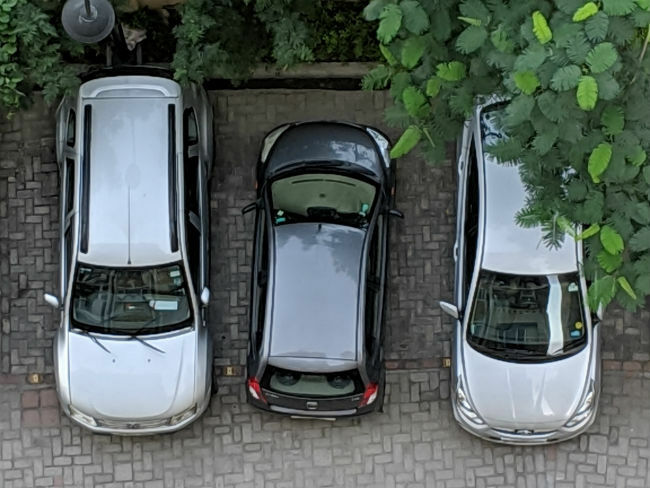 Getting it to the position of the perfect fit is annoying. Speaking of using the Pixel 3 as a phone, it gets the job done with a lot of clarity. The audio is loud, clear and at 70 percent volume is loud enough to hear well. At 100 percent volume, there is a little nose bleeding and in a car the person sitting next to you can hear some of the conversation. It is possible that the person at the other end was talking very loudly. The Pixel 3 runs on Android 9 Pie out of the box with a promise for three years of OS updates. 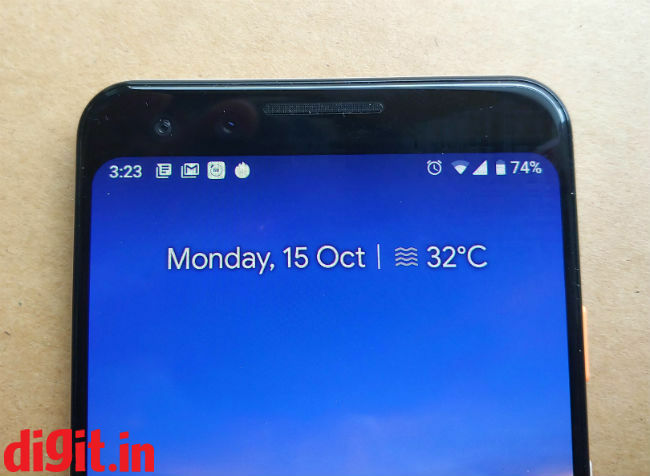 We have experienced Android 9 Pie before and you can read more about the OS here. The Pixel 3 brings with the same features we have seen on the Pixel 2, like squeeze to bring up the assistant, always on recognition of songs, always on display, and more. What’s new here is digital wellbeing which is still in beta. It will show you how much time you spend on the device, show you time spent on specific apps, help you control the amount of time you spend on an app and give you the ability to switch off from your smartphone on a daily basis. Overall, we faced no bugs or random crashes when using the smartphone and the OS and software worked like a dream. 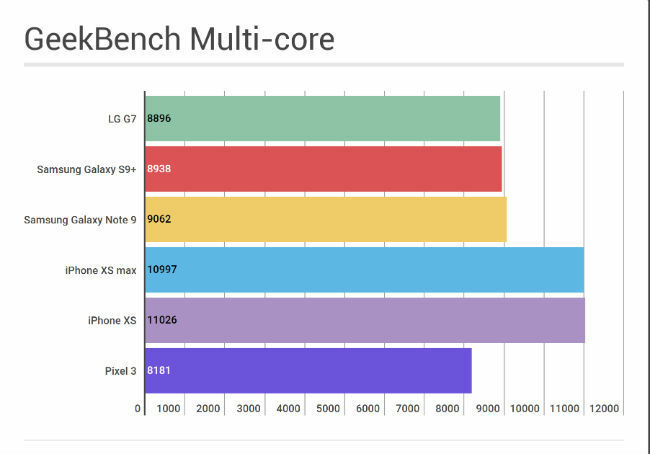 When it comes to performance, the smartphone is a beast. 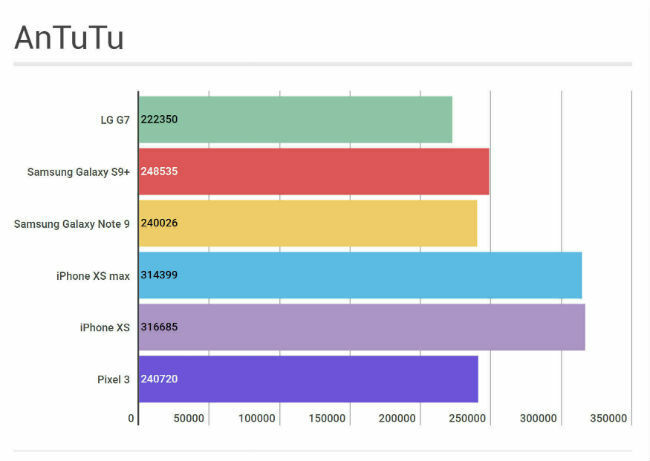 Sure, on paper, 4GB ram doesn’t seem like much and this shows in the benchmark performance when compared to the S9+, Note 9 and the iPhone XS. However, real world performance is a different story. Games ran perfectly smoothly with little load times and smooth response. Multitasking was a breeze and switching between over two dozen open apps was a simple swish and tap of the display. Animations are swift, apps open almost instantly, games run without any glitches, there is really nothing I can tell you about the performance that has a significant drawback in real world scenarios. It can go toe to toe with the performance of the any flagship on offer today. The smartphone just works and whether 4GB RAM will be a limiting factor is only something time will tell. In the past couple of days that we have spent with the smartphone, it is butter smooth. 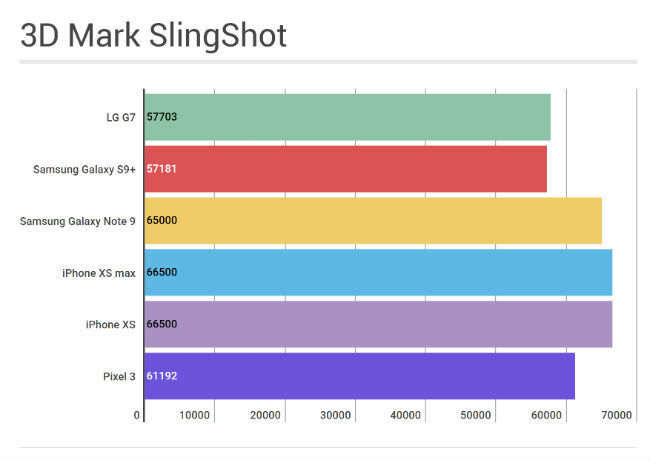 Last year's Pixel 2 had the best smartphone camera money could buy, overtaking the performance of the iPhone as well. 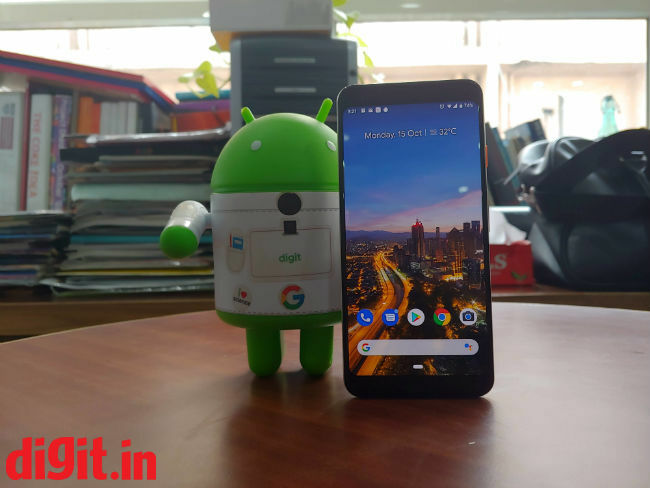 Google has taken its fantastic camera and ensured its performance has been updated to 2018. There is zero shutter lag no matter what the lighting condition when taking a photo. Even if I thought I took a blurry photo, going back to the gallery showed me that the focus was just right. Tap the shutter button and it’s like the phone can read your mind and click the perfect picture. Top shot is a fantastic feature. When you click a photo, simply swipe up and you will the option “shots in this photo”. This essentially captures the image a couple of seconds before and after you click the shutter button, giving you access to the perfect photo. This “shots in this photo” option wasn’t always around and I did find myself with a few eyes closed selfies. You also have photos with motion in them, similar to the live photos on iOS and this is something we have seen in Pixel devices in the past. Portrait mode here works like it did on the Pixel 2. A single rear dual-pixel camera and a lot of software (AI) is used to get some fantastic bokeh effects. It is a lot better than those found on some dual camera devices. You also have the option to see the clear version of the photo if you don’t want to add the bokeh effect. When it comes to regular shots from the rear camera, they are rich in details, clear and sharp. In well lit conditions you get some fantastic photos with absolutely clear details. Even in low lit condition, the camera’s performance is fantastic with low noise and good detail retention. 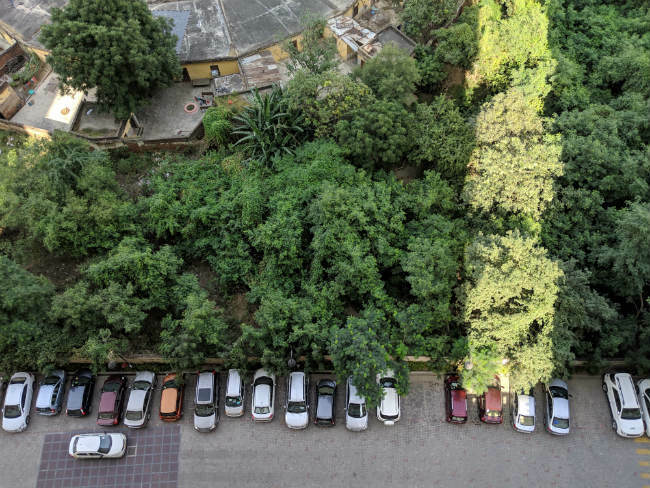 When it comes to zooming from the rear camera, the image of the cars below should better elaborate how well it works. The clarity of the image is well defined considering the distance. How this camera compares to the new iPhone camera’s and the one on the Galaxy S9+ and Note 9 is something we will talk about in a dedicated comparison. 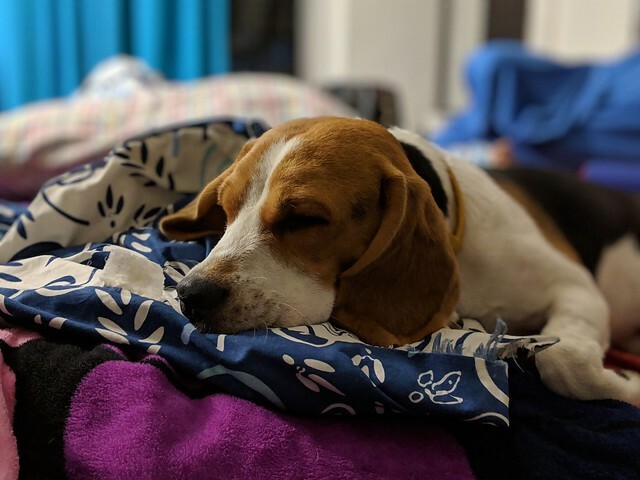 However, we can tell you this, you can’t go wrong with the camera on the Pixel 3. 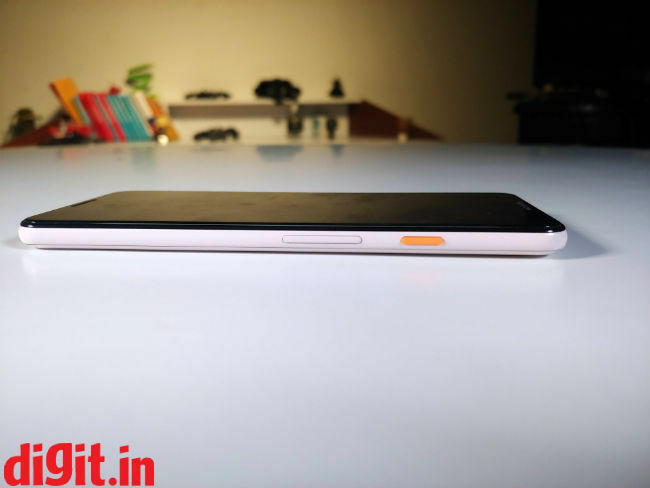 Features like Night Shift are yet to come on the device and we can’t wait to try them out. Moving to the front camera, you have two 8MP shooters here. The purpose is to give you a wide angle when clicking selfies. While the wide-angle camera works well for selfies and the selfies are great in low light and well-lit conditions, the only downside is that a detailed inspection of the selfies reveals softening of blemishes on the skin like the beauty mode found on other smartphone cameras. This is more pronounced if you have freckles, or pimples or a light stubble. It is a great camera nonetheless, but I wish the softening of the skin wasn’t there. Another area where the Pixel 3 impresses is with the battery life. You can easily run the device for a work day with little gaming and video content consumption among other daily activities of calling, messaging, social networking and more. Starting out with 100 percent battery I was left with about 20 percent at 8PM when I got home. 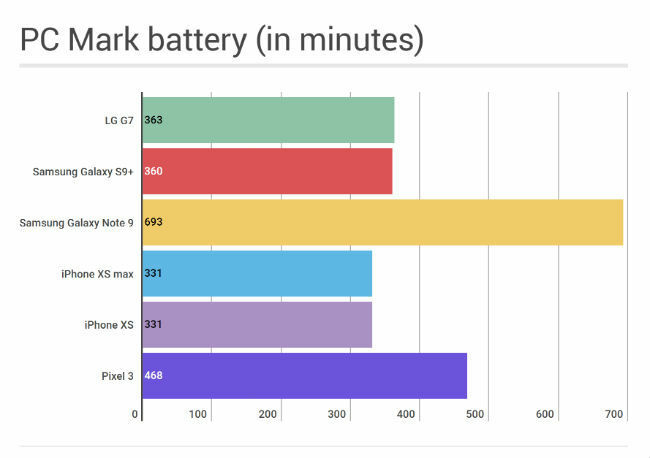 Now this isn’t the best battery life when compared to the OnePlus 6 or the Note 9 but in our PCmark battery test the smartphone trumps the iPhone XS, Galaxy S9+ and the LG G7. Super heavy users who keep the brightness on full, have the display always on and are absolute work horses may not like the battery life. But like I said, normal users will run through a day of use with ease.